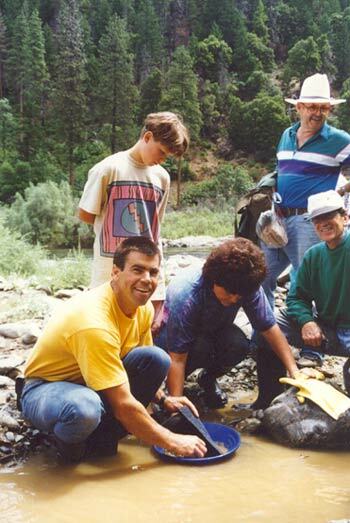 It is a great experience to join with others in a fellowship formed in the true spirit of gold prospecting. The 49’ers of old are gone. We are the modern evolution of a rare and special breed. We are The New 49’ers! I am proud to be part of a group that appreciates this and is dedicated to keeping it alive. Our membership includes some of the kindest, most educated and responsible people in the prospecting field. Many meaningful and lasting friendships have been and are being formed. Together, we will make the difference in the destiny of the small-scale prospector and perhaps the last true free enterprise opportunity left in the United States: the right to freely prospect for and develop mineral deposits on the public lands of America! While we have created some of the best possible mining opportunities available, we have also created a movement which certainly will make its mark on history. You are invited to take part in this great activity.